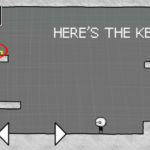 This week I’m delighted to say that I spent a fair few hours (about 10 now) with a new mobile game that just came out. That game is Final Fantasy Brave Exvius, and it completely surpassed my expectations of what a free-to-play smartphone game could be. Final Fantasy Brave Exvius is different from most mobile games due to it actually having a real story. The player follows two knights named Rain and Lasswell on their journey to defeat and evil group of six swordsmen that are threatening the four crystal of the land. They pick up other allies along the way all in an effort to save the world. If you’re a fan of the series, that idea probably sounds a lot like a classic Final Fantasy story, and it is. It’s perfect for older fans of the series and is still very engaging. 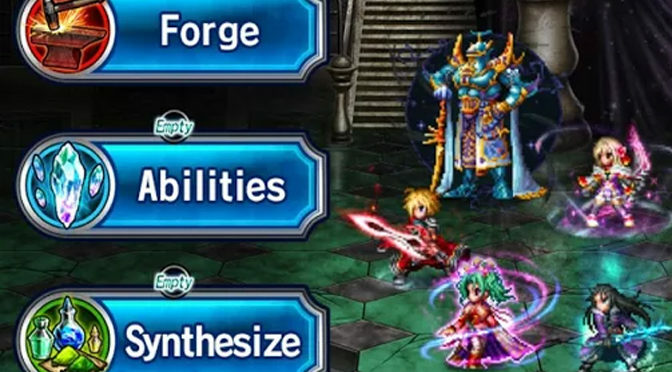 One of the main aspects of Final Fantasy Brave Exvius is the ability to summon what are called “Visions.” Visions are just Square’s way of letting players fill their party with characters from other Final Fantasy games. It’s obviously a feature to draw players in with familiar faces, but it also helps progress the story as well. Battles are flashy and look great. This is the part where I’ve got to be honest with you. I’ve not finished the story of Final Fantasy Brave Exvius. The game just came out mid-way through this week and I haven’t been able to beat it yet. Honestly, I probably won’t have it beaten by next week either, or the week after that. Just like most free-to-play games, Final Fantasy Brave Exvius has an energy system that limits how much players can do in one sitting. Personally, I hate these types of systems, but I understand that developers have to make money somehow. I’d complain about the energy system more, but it actually does some things that I like. First of all, players can overfill their energy. This happens if they get too much energy as a reward from a quest or other task. For a limited time, that energy will actually exceed the maximum amount the player can hold. This is a really nice touch as it lets players claim rewards and keep play longer than most of smartphones games would let them. Also, there are no advertisements in Final Fantasy Brave Exvius, which makes the energy system much more bearable. 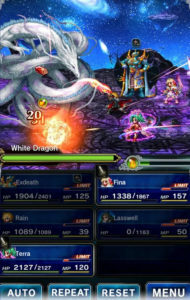 There’s something else about Final Fantasy Brave Exvius that really makes it stand out from other smartphone games, and that’s how it plays. Sure, there are lots of areas where you fight waves of enemies until you get to a boss, but that’s not really all there is. The game will often let the player run around in different forests, mountains and caves as if they were playing a normal JRPG. There’s random encounters, treasure chests to pick up and secret passages not marked on the map. It feels great being able to get this kind of experience from a mobile game. Final Fantasy Brave Exvius also lets players walk around and explore the various towns they come to. This includes stopping by shops to buy new items, weapons and armor, speaking with NPCs and all the other aspects of gameplay that would be found in more traditional JRPGs. The real beauty here is that every town is filled with NPCs to talk to and many of them will have side quests for the player. Often times the rewards for this will be energy and experience, but sometimes it’s gold and items, as well. There’s also a forging system out there that helps players save their gold by letting them craft their own items. Combat in Final Fantasy Brave Exvius is a lot like a classic JRPG. It’s turn-based and has players grinding for experience to level up their party members. Honestly, most encounters can be handled with the auto-battle feature, but players will actually want to take control of their characters when a boss fight pops up. This allows them to use different skills, magic, Limit Breaks and summons. It helps get through bosses easier and offers more strategy that will be needed. Outside of combat, players can level their characters up by fusing them with other characters. 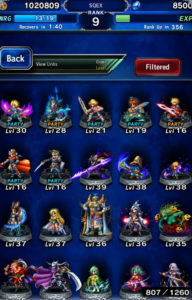 Once a character has reached their max level, players can use a collection of different items to “awaken” a character. This allows them to move up to their next level of rarity and starts the leveling process all over again. It ca be a bit of a long grind, but it’s rewarding to see your characters grow stronger. Characters can also be equipped with different weapons and armor, as well as Espers (summons). Espers can also be leveled up and they gain SP that can be used to unlock additional abilities, such as Magic + 30% or Scan. They’ll also boost the stats of whatever character they’re equipped to. There’s a lot of different characters to collect in the game. The graphics in Final Fantasy Brave Exvius are wonderful. 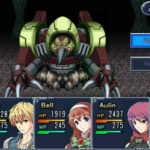 Square ditched its classic sprites from the early Final Fantasy game in favor of new ones that have much more detail in their design and animation. It’s a nice change and it’s cool for fans of the older games to see their favorite characters with updated sprites. The game also has beautiful environments that are filled with a lot of detail. Also, Espers really stick out in this game due to their animations being in full 3D. They’re amazing to view on a mobile device and add to the idea that Espers are being summoned from another world. The music in Final Fantasy Brave Exvius is amazing. There’s a lot of reworked songs from older Final Fantasy tracks and every battle finishes with an updated version of the “Victory” theme. There’s also new music to listen to and it fits well with the older tunes. The sound effects are also great and mesh well with the rest of the game. My only major problem with Final Fantasy Brave Exvius is that it sometimes suffers from slowdown. This mostly happened while exploring large dungeons or towns, but it was always very inconsistent with when it occurred. Sometimes I’d go into a town and everything was fine. Others times I’d go to that same town and it would feel like Rain was running through molasses. Overall, Final Fantasy Brave Exvius is a great entry into the series. It’s also a great mobile game to play for fans of JPRGs. I’ve been less trusting of Square lately, but this game has somewhat rekindled my faith in them. They’ve really released a polished JRPG for the smartphone that is better than most others in just about every way. Now if only they allowed players to flat-out purchase the game and avoid the evil energy system altogether. Final Fantasy Brave Exvius earns 4.5 GiN Gems out of 5!